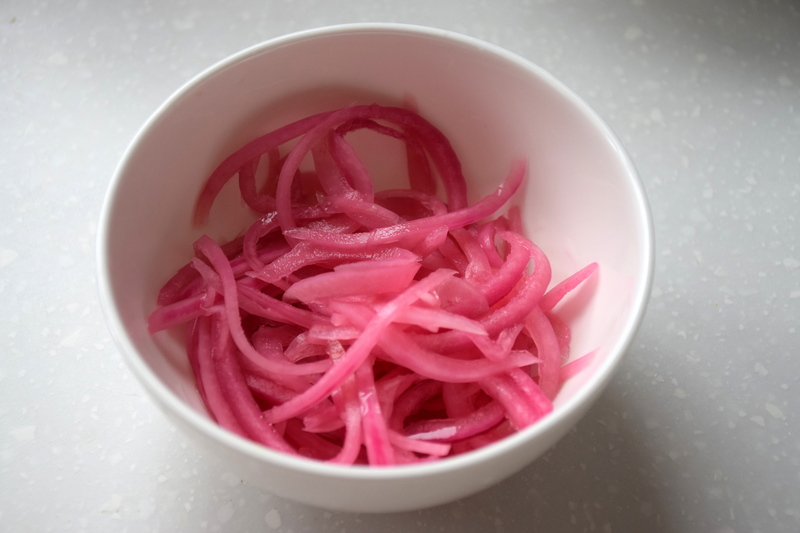 Pickled red onions are one of my favorite condiments to pile on top of grilled fish or pulled pork tacos. 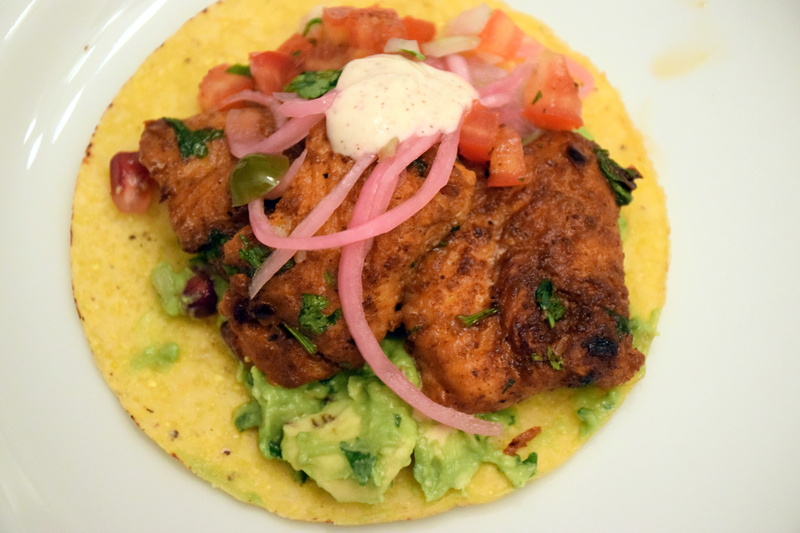 I had a craving for a taco feast this week and decided to make my favorite Baked Fish Tacos. 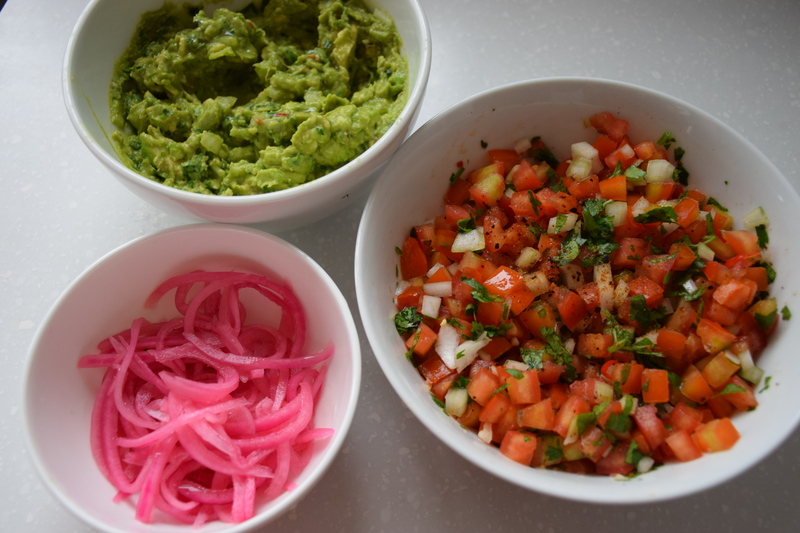 Along with the standard classics Guacamole and Pico de Gallo, I decided to whip up a batch of pickled red onions. I found this ridiculously easy recipe on Bon Appétit and the results were sweet and crunchy — a perfect match for smokey and spicy flavors. I think these should be an essential condiment for any taco fiesta or summer BBQ! This recipe can be made 2 weeks ahead and stored in the refrigerator. Whisk first 3 ingredients and 1 cup water in a small bowl until sugar and salt dissolve. 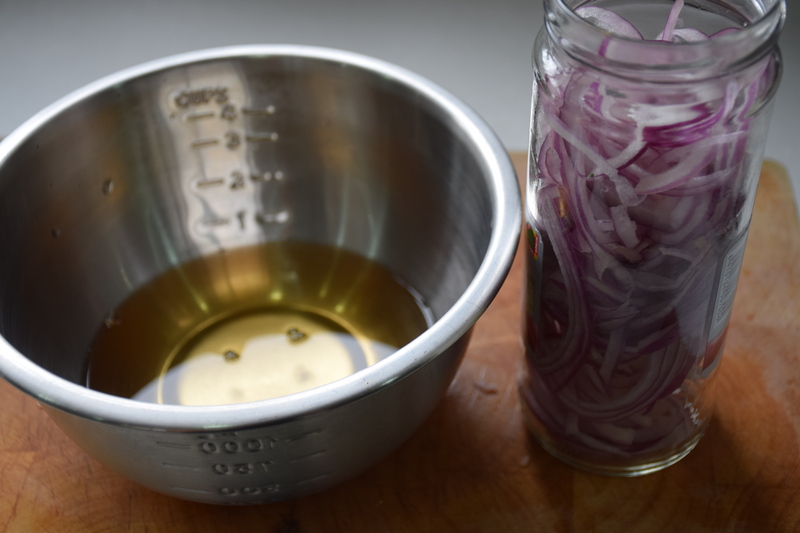 Place onion in a jar; pour vinegar mixture over. Let sit at room temperature for 1 hour. DO AHEAD: Can be made 2 weeks ahead. Cover and chill. Drain onions before using. Enjoy with Baked Fish Tacos, pulled pork or grilled burgers at a summer BBQ!